TRENTON – Acting Attorney General Christopher S. Porrino and the Office of the Insurance Fraud Prosecutor (OIFP) announced that the manager of a now-defunct Bergen County used car dealership and two co-workers have pleaded guilty in bank financing scams that netted $1.4 million in fraudulent loans for luxury cars. Hector Marquez, the general manager of D.I.B Leasing in Teterboro, pleaded guilty to first-degree money laundering and second-degree misconduct by a corporate official in a hearing before Superior Court Judge Susan Steele in Bergen County. Marquez, 43, of Monroe, also pleaded guilty to second-degree insurance fraud in a separate indictment involving a $139,000 Bentley purchased at his dealership and later torched and reported stolen to an insurance company. The state has agreed to recommend a sentence not to exceed 16 years in the dealership case. In the insurance fraud case, the state has agreed to recommend a sentence not to exceed seven years, to run concurrent to the first sentence. Marquez’s sentencing is scheduled for Jan 20, 2017. Marquez is the third defendant to plead guilty in the D.I.B. Leasing case. The dealership’s finance manager, Paul Russo, 40, of Scotch Plains, pleaded guilty to second-degree money laundering and second-degree misconduct by a corporate official. The state has agreed to recommend a prison term not to exceed 10 years, when Russo is sentenced on September 16. The dealership’s title manager, Lisa Ghobrial, 48, of Ridgefield, recently pleaded guilty to third-degree misconduct by a corporate official. The state has agreed to recommend a three-year probationary term when she is sentenced on September 16. The trio, along with a loan applicant assistant, a bookkeeper, and the owner of the dealership, were all charged in connection with the conspiracy. Prosecutors said the defendants created fake employment records, inflated incomes, and supplied false pay stubs and fictitious employee verifications to dupe banks into approving auto financing for customers whose income levels did not qualify them for loans on the pricey vehicles. had never been to D.I.B. Leasing or applied for a car loan there, prosecutors alleged. The loan money obtained from the banks was for personal benefit by the various employees of the dealership, prosecutors said. The remaining defendants have all been indicted on charges of conspiracy and money laundering in the first degree and with a second-degree charge of trafficking in personal identifying information pertaining to another person. Jennifer Perez, 30, of Union City, who assisted with loan applications. Michael Ricciardi, 53, of Wayne, who did bookkeeping for the dealership. 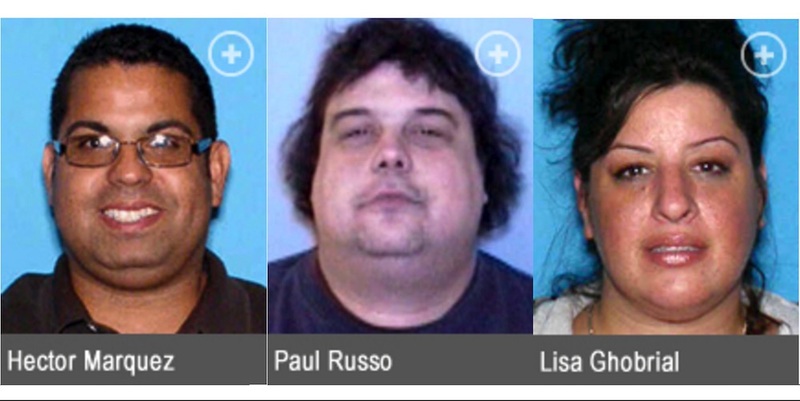 Galasso and Ricciardi are also charged with second-degree identity theft, and 62 counts of theft by deception – two in the second degree and 60 in the third degree. Galasso is also charged with second-degree misconduct by a corporate official. First degree crimes carry a sentence of 10 to 20 years in state prison and a criminal fine of up to $200,000; second-degree crimes carry a sentence of five to 10 years in state prison and a criminal fine of up to $150,000; third-degree crimes carry a sentence of three to five years in state prison and a criminal fine of up to $15,000. Deputy Attorney General Colin Keiffer represented the state at the plea hearing. Detective Sergeant Jarek Pyrzanowski, and Detectives Kahlil McGrady, Ryan Kirsh, Kristi Procaccino, and Megan Flanagan coordinated the investigation with assistance from analysts Chris Runkle, Terry Drumm, Gregory Nolan, and Theresa Worthington, along with the Electronic Surveillance Unit of the Division of Criminal Justice and Investigator Daniel Buchanan and analyst Sam Paden of the NJ Motor Vehicle Commission. Acting Attorney General Porrino thanks Bergen County Prosecutors’ Office, National Insurance Crime Bureau, and Plymouth Rock Assurance for their assistance in the investigation.